Back for 2019; time to keep the revolution going! HOURS COMPLETED SO FAR: ??? to find out the grand total! We believe that local business, schools, parks, the places where we work, rest and play, our city, town and villages could be transformed by simple acts of kindness. Simple acts of kindness like picking up litter, blessing others with a gift just to say thank you for what you do, working in partnership with others to volunteer hours that help, baking cakes and so much more! So, we’re asking the question; if we come together, to serve our local communities this Lent, just how much impact could we have? What if we united to offer our communities 1000 Hours of acts of kindness; a Kindness Revolution! This Lent, over 40 days, we have a chance to find ways to make huge difference to the places we live, either individually or collectively. By showing God’s love we hope to have a positive influence on the lives of those around us. It doesn’t matter how young or old you are, you can get involved. Check out our Get Involved section to see some ideas of what you can do and signup for 1000 Hours events, but don’t stop there! If you have specific ideas of how to get involved or want to volunteer your skills, contact us. Was this a school project? 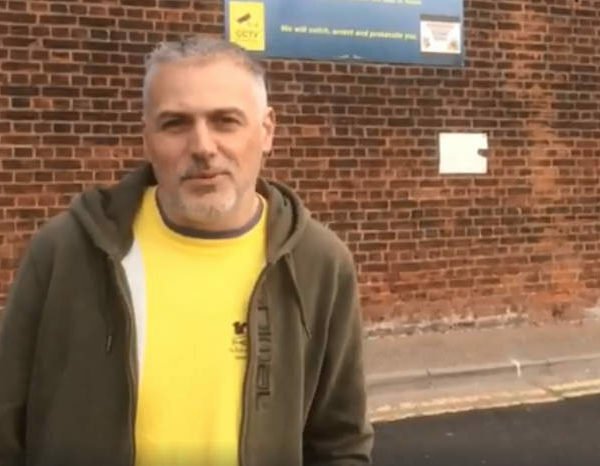 Prison officers and staff at Norwich Prison were the latest recipients of cakes and food hampers from the Gateway Vineyard 1000 Hours campaign team. 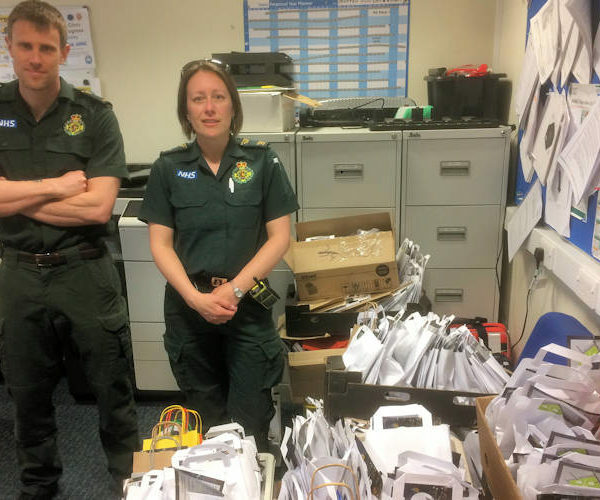 Over 360 paramedics from across Norfolk have received free goodie bags as a simple thank-you for their life-saving work by a team from Gateway Vineyard’s 1000 Hours campaign. 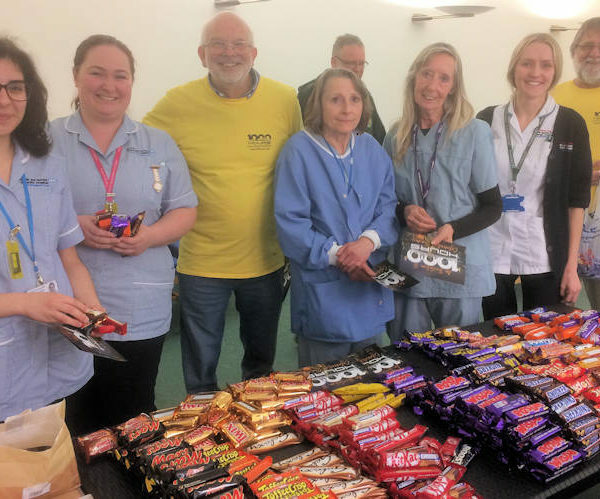 An amazing 3000 chocolate bars, fruit and doughnuts have been given away for free to dedicated staff working at the Norfolk & Norwich University Hospital by a team from Gateway Vineyard church as part of its 1000 Hours kindness campaign for Lent. 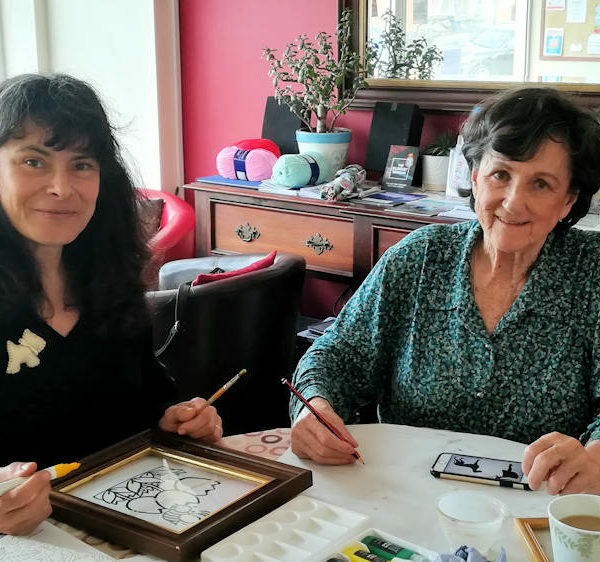 Visitors to The Place community hub in Thorpe St Andrew have been joining in the 1000 Hours revolution of kindness. We will use your details to automatically send you email updates when we publish a new article. We will not share your details with other companies for marketing purposes. You can unsubscribe at any time using the link in the footer of any of the emails you receive from us.